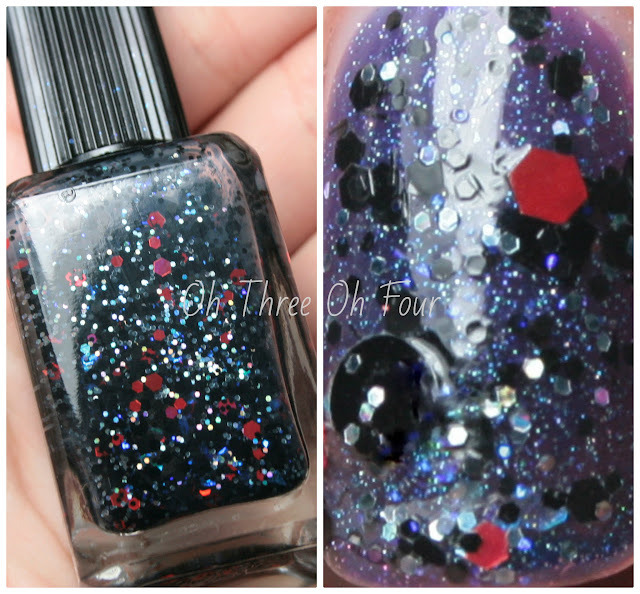 Lynnderella Black Belt Shopper has black glitter with a pinch of large red and small charcoal holographic hexagons, as well as iridescent blue flakes in a clear base. All nails are 2 coats of Black Belt Shopper over 2 coats of Lacquerhead Polish Blueberry Yum-Yum and 2 coats of Plum Crazy (post here) with a top coat of Seche Vite. 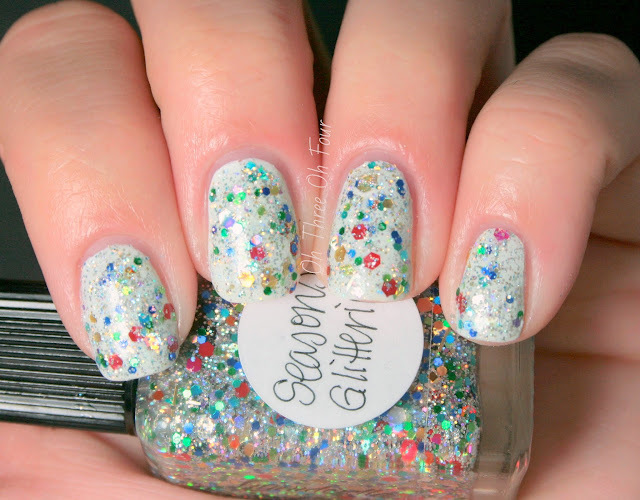 Season's Glitterings has a clear base with multiple shapes and sizes of silver, gold, green, blue, red, purple and pink holographic glitters. I used 1 coat of Season's Glitterings over 2 coats of Wet n Wild French White and a top coat of Seche Vite. 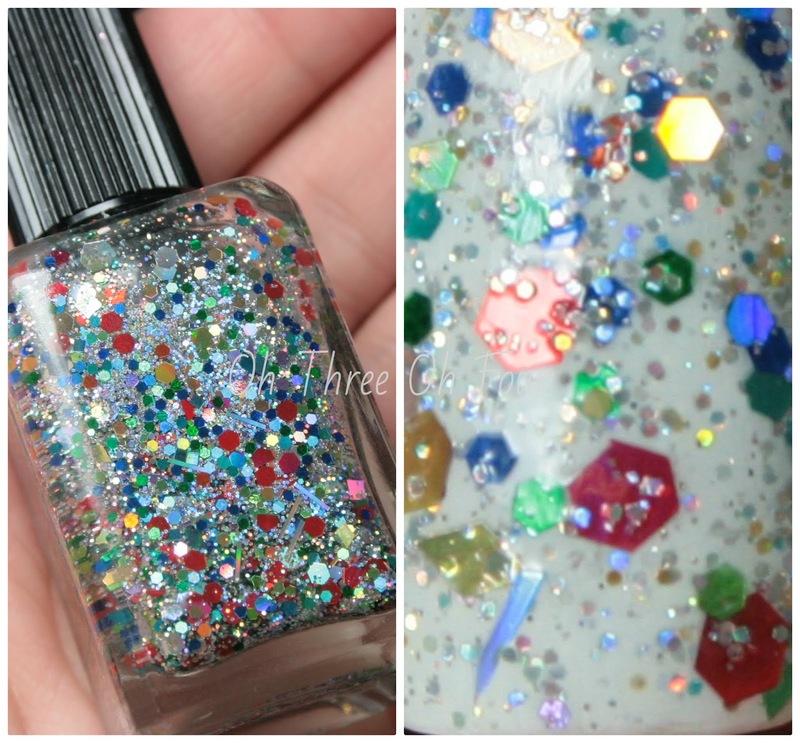 Lynnderella polishes can be purchased through eBay here. Follow Lynnderella on Facebook here, Tumblr here, Twitter here and Instagram here.